LUSAKA, Nov. 14 (Xinhua) — A trade expert warned on Monday that African countries should tread carefully on plans to introduce a free trade area, which could bring more harm than good to the continent. Dr Francis Mangeni, a trade expert and director of trade at the Common Market for Eastern and Southern Africa, said countries should be cautious about the establishment of the Continental Free Trade Area (CFTA). He pointed out that the negotiations for establishing the CFTA now is in high gear to meet the December deadline. “There is a real risk that in this rush, the Free Trade Area might be designed in a manner that, through too many exceptions and high tariffs on key exports reduces even further the already paltry intra-Africa trade, which would be a self-inflicted tragedy,” he said in a statement. 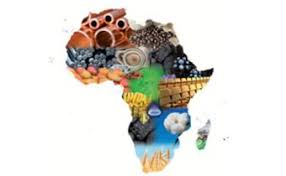 The expert said the CFTA, which aims to boost intra-Africa trade which has been low at 11.78 percent of total imports, should not include issues that may impede trade among African countries. According to Mangeni, the hindering factors of the CFTA are derived from a fear of imports, adding that a fear of an avalanche of imports from other African countries needs to be properly assessed. He stressed that countries should focus on how to boost exports through scaling up production and develop niche markets. Negotiations should lie on the trade provisions that aim to achieve a vastly open free trading arrangement which can build up and grow domestic industries flexibly, he said. Large open markets not only support value chains, but also promote specialization and efficiency in modern production lines and processes, he said.